We have a 4500Y. 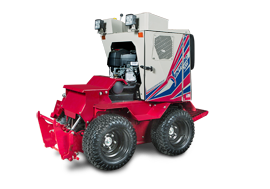 We have a snowplow, mower, brush, leaf blower, generator, slip scoop. And some other homemade attachments for it. 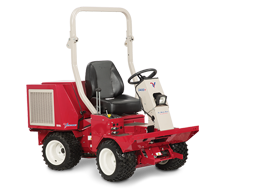 Our Ventrac does everything we could even dream up. We use it for everything from pulling hay wagons to keeping the electric going in our auction barns if the power goes out. We mow with it in the summer in basic yards and even in thicker grass in our woods. We plow snow for several businesses around town in the winter. There never is too much snow that this thing can't plow. It's just an amazing thing. 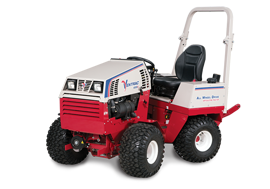 Whenever we need some extra help for doing anything we go right to our Ventrac over any other tractors we have. We use our Ventrac for every job possible. 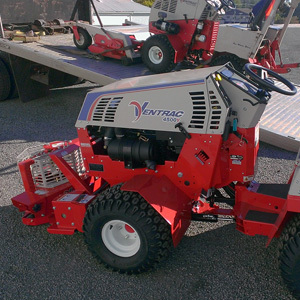 We used our first 4000 series Ventrac so much, that we had to trade it in on a new 4500Y. There isn't a day in the year where there isn't a job that we are not using it for something. It doesn't get to sit around in the shop much.